Can I just say "Thank you, Thank you, Thank you" to all you wonderful people who link up their amazing crafts week for week. 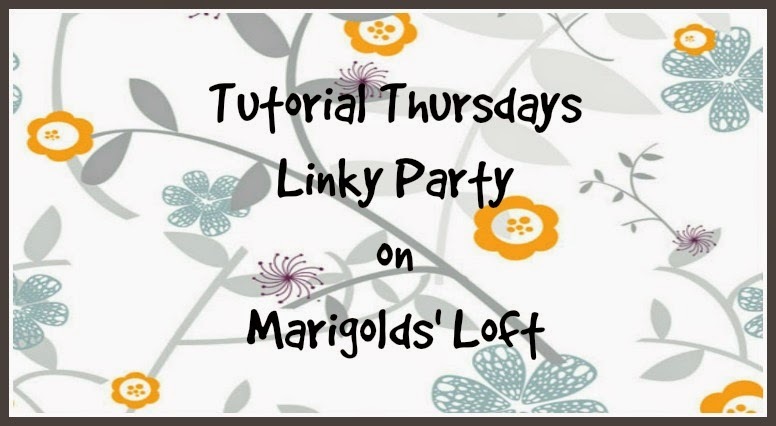 Last week we crossed the 100 link up mark and ended up with a total of 103 links! Talking of the number 103, I was wondering to myself just how long I have been hosting Tutorial Thursdays - it has been nearly 2 years - and guess what number party this is? You better believe it - Link up number 103! Congratulations!! !Next target 200!! !Love the fact that this is a tutorial party!! !